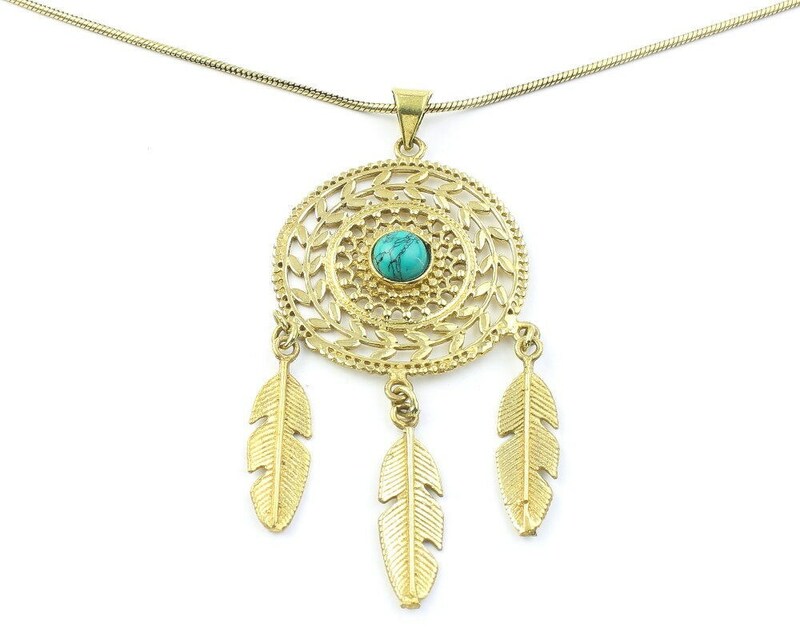 Intricately designed dreamcatcher pendant with dangling feathers. 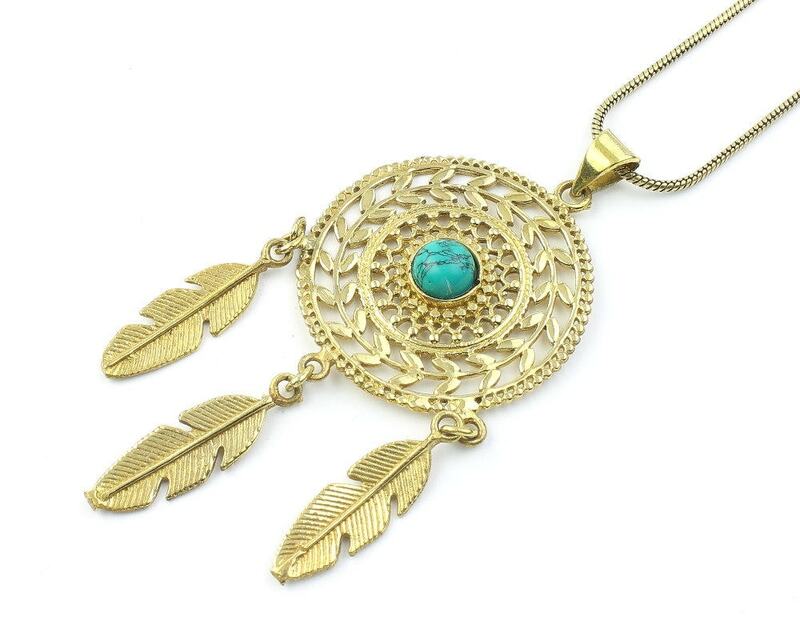 Please note: This is a genuine gemstone piece. These stones were made by nature. Each is unique and may vary slightly from what is pictures. 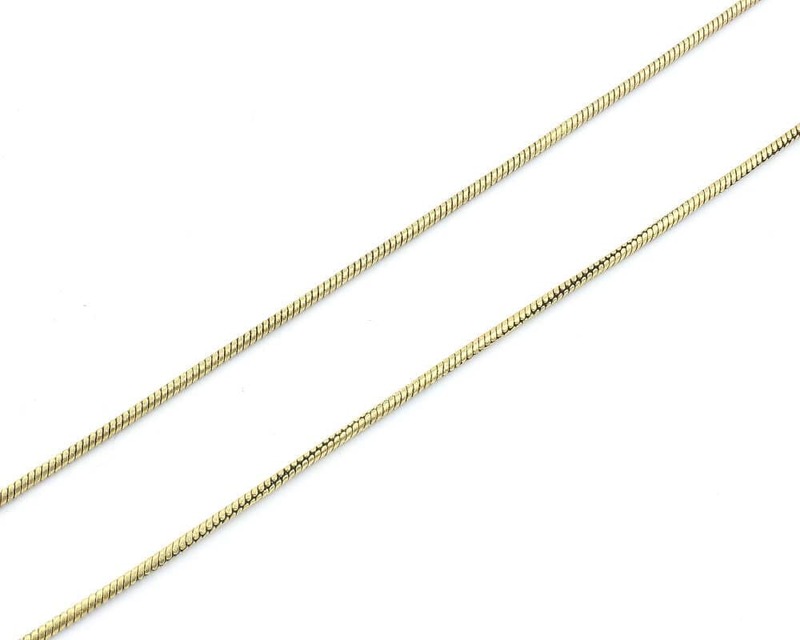 Pendant Length (with hook): 3"